ALLFIE uses positive stories of inclusion to show how it can work for all disabled learners, including those with profound learning difficulties, when the government and some educational institutions say it’s not possible! ALLFIE collects stories from school pupils and students, families and education professionals, to show how inclusive education is possible. 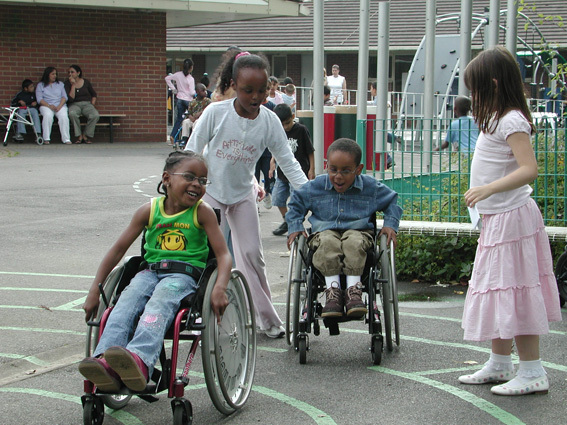 We highlight the benefits of working towards a fully inclusive education system. “He is doing well, the other children like having him in the class and are not afraid of him being different… Many of my friends have been ground down and think they do not have any choice but a special school, surely this is wrong.” Parent. We need your stories! We want to tell the world that inclusion works and the more examples we have the better. Talk to us.